With more than 2,400 no-appointment-required salons across the country, Supercuts offers consistent, quality haircuts at a moment’s notice. 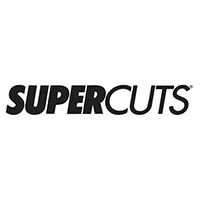 Their highly trained stylists take pride in providing the attention-to-detail you’ve come to expect from Supercuts. Plus, as a finishing touch to every Supercut™, they offer their Hot Towel Refresher® service. It will leave you feeling clean and ready to get on with your day.